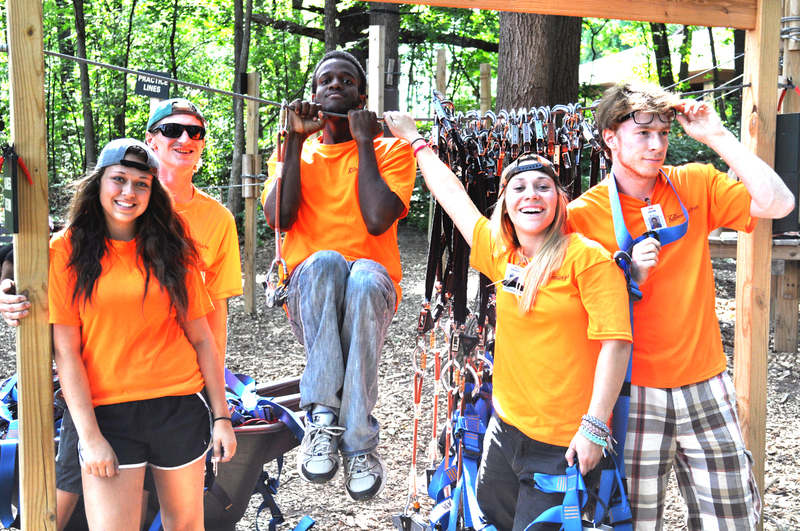 TreeRunner Raleigh Adventure Park is Hiring! TreeRunner offers seasonal positions that will make lasting memories. If you enjoy working in a woodland setting, like to lead and coach visitors as they climb through our aerial challenges and would enjoy zip lining through the forest, then this is the job for you! We offer competitive wages with incentives for those pre-certified in first aid, CPR or as a responder. A position on our team will reward you with an aesthetic work environment, exciting challenges, and a cohesive team. Positions in the trees, guest services, or business office. Check us out now! Employment begins in mid-April. Please ensure that you are to work four to five days a week, in all kinds of weather, March through December. An ideal candidate can work a few days during the week, and at least TWO weekend days, Friday through Sunday. Shifts are scheduled Monday through Sunday, as early as 7 am to as late as 11 pm, with the later shifts falling on Fridays, Saturdays and special event nights. Please download the full job description page below for more details on the positions we offer. Excellent public speaking and presentation skills are mandatory. Candidates interested in a Park Monitor position must be comfortable working at heights up to 50 feet and be able to carry 50 pounds. First aid certification, rescue, and climbing skills are highly preferred, but not required. There is a mandatory 40-hour training session for new Park Monitors. Upon completion, all monitors must pass written and practical assessments. You may be asked to successfully complete a first aid and CPR course.